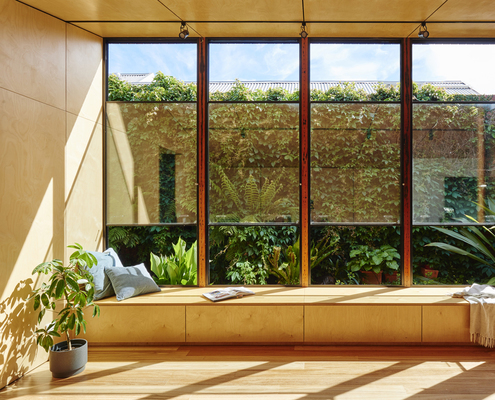 Bluestone Terrace Pavilion by A Sunny Glass Box Helps This Bluestone Cottage Connect to the Garden Owned by a landscape gardener, this 1880s bluestone cottage is now connected to the garden and full of natural light and sea breezes. 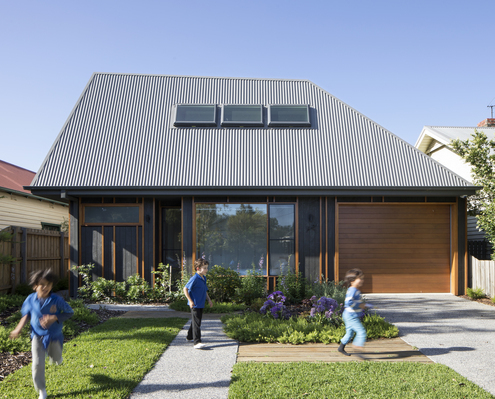 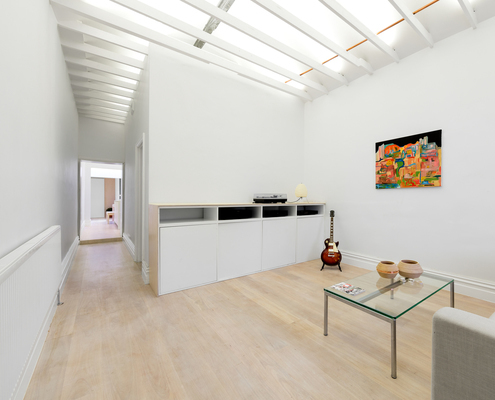 Thornbury House by Bent Architecture A Distorted Roofline Conceals a Surreptitious Second Storey In a street of single-storey timber houses, this playful new home reinterprets its neighbours so it feels at home in the street. 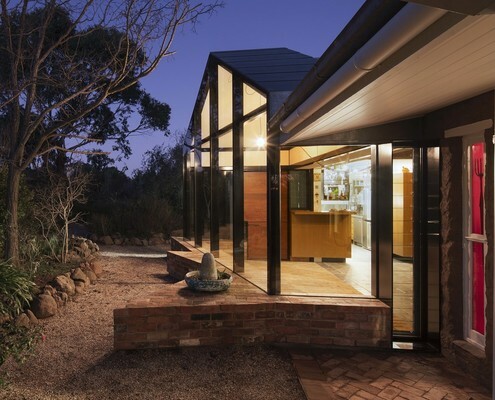 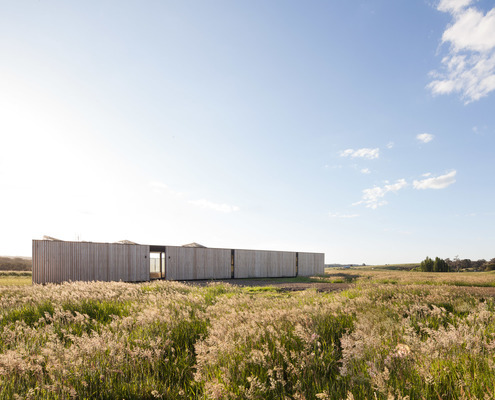 Project Franklinford by Modscape An Off-Grid, Sustainable House in the Victorian Central Highlands Sitting sympathetically in an open paddock, this off-grid house captures views without compromising on environmental performance. 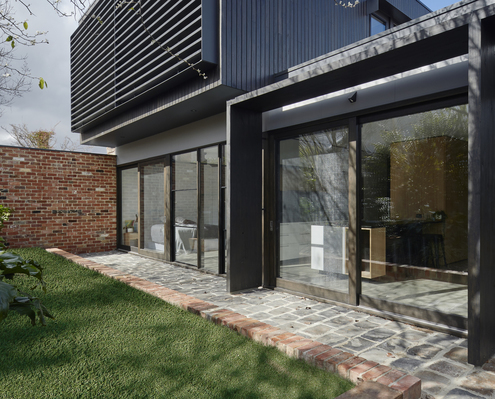 Garden Wall House by Sarah Kahn Architect A Recycled Brick Garden Wall Creates an Inner-City Sanctuary By dividing a complicated inner-city block into a patchwork, a new home sits comfortably between heritage buildings and gritty laneway. 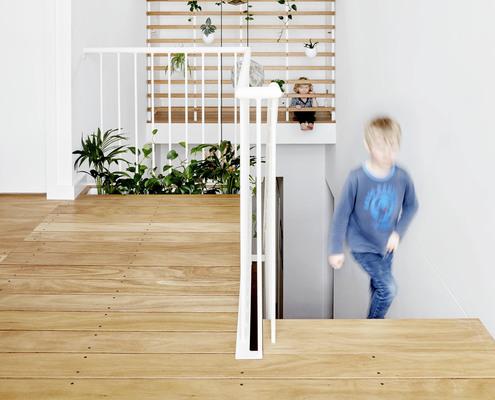 Playtime by Guild Architects A Fun-Filled Addition Peaks Above This Californian Bungalow It's Playtime in this fun-filled extension with secret hatches, a bridge, sloped walls and an aquarium of curious creatures.